The newly permitted Cardiff rehoming centre is the latest development we have assisted Dogs Trust with. The new centre will be a state of the art facility with world-leading animal welfare facilities including 94 kennels split between rehoming, specialist training and stray reclaim areas. The site includes large open exercise paddocks to ensure an enriching environment for the dogs. 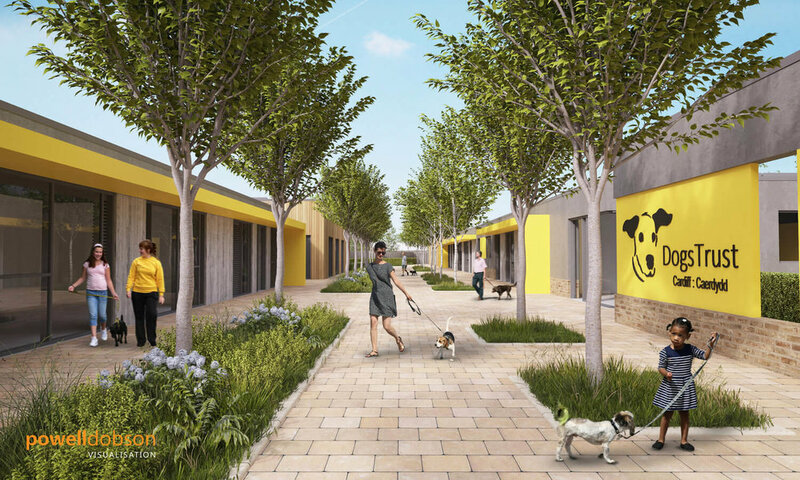 We have worked with Dogs Trust for a number of years, providing them with advice on the design of their most modern rehoming centres and assisting with noise assessments in connection with planning applications for new developments. For this site, our noise assessment work included noise monitoring and construction of a computerised 3D noise model of the proposed rehoming centre to assist in the design of measures to ensure that there will be no noise impact from barking dogs on neighbouring businesses and nearby dwellings. We prepared comprehensive a noise impact assessment report to be submitted in connection with the planning application. We also liaised with the Local Planning Authority and Environmental Health Department, addressing queries, with planning consent being granted in late 2017.